Sony is taking the lead in bringing the focus on audio performance to the camcorder market with its new Sony DCS-SR100 camcorder. "Nothing preserves memories better than moving images with sound," said Linda Vuolo, director for camcorder products at Sony Electronics. "We are offering new enhancements to both audio and video performance in our 2006 product line." 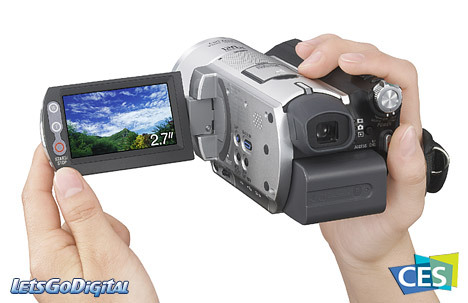 The latest addition to the Handycam camcorder line is the hard disk drive-based Sony SR100. 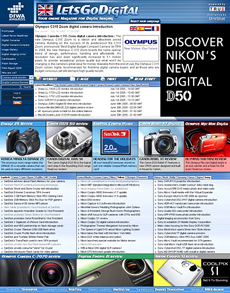 It offers long record times and seamless PC connectivity. The Sony DCR-SR100 unit features built-in Dolby Digital 5.1 surround sound and supports Sony's new optional center-channel Bluetooth microphone for a cinematic sound experience. Sony DCS SR100 - Carl Zeiss lens - The model also sports a 3 Megapixel Advanced HAD CCD imager and Carl Zeiss Vario-Sonnar T* lens for excellent image clarity and color resolution. It records on a 30GB hard disk drive, which eliminates the need for tapes or discs. You can record up to seven hours of DVD movie-quality video or more than 21 hours in long play mode. Users will also enjoy the camcorder's 3 Megapixel still capture in 16:9 and 4:3 aspect ratios, built-in flash, and wide 2.7-inch SwivelScreen LCD display. 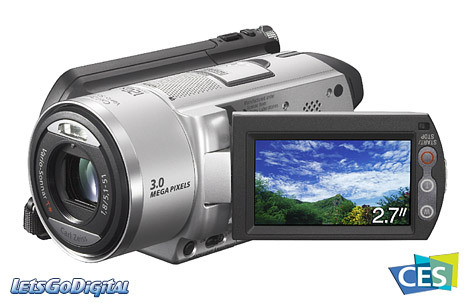 Sony DCS SR100 camcorder - Hard disk drive and DVD - For additional reliability, the DCR-SR100 model has a sophisticated back-up protection. The camcorder has physical shock absorbers to protect the hard disk drive. It incorporates G-sensor shock protection which safeguards internal mechanisms to help prevent data loss. Sony is also adding in-box PC applications to back up your video memories on DVD. For example, a DVD burn button on the model transfers video to a PC and automatically creates a DVD, with the entire process taking about 30 minutes for a full hour of high-resolution video. It also comes with DVD authoring software to edit footage.